Franciscan Outreach Association was established in Chicago in 1963. FOA attempts to reach out to people in poverty, while offering hospitality and services. 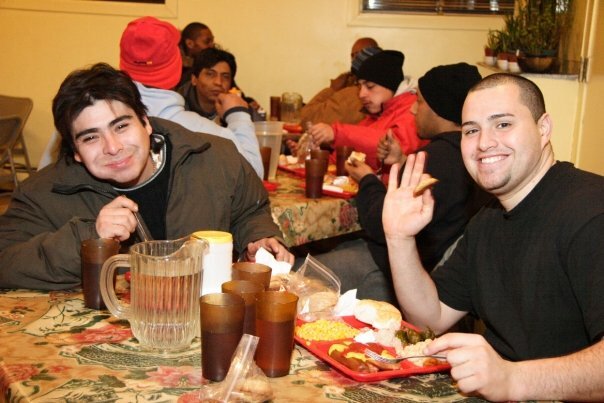 We provide meals, shelter, shower facilities and laundry services to hundreds of men, women and children in the model of respect and dignity of St. Francis of Assisi. In addition to providing emergency assistance we also have professional case managers who help our guests with long-term services such as housing and job opportunities. FOA began a full-time volunteer program in 1976 to help meet the increasing needs of homeless individuals in Chicago. To see a video about Franciscan Outreach, including guest interviews, tours and statistics click here!